Languages International is in the heart of Auckland City, close to downtown shopping, entertainment and transport. 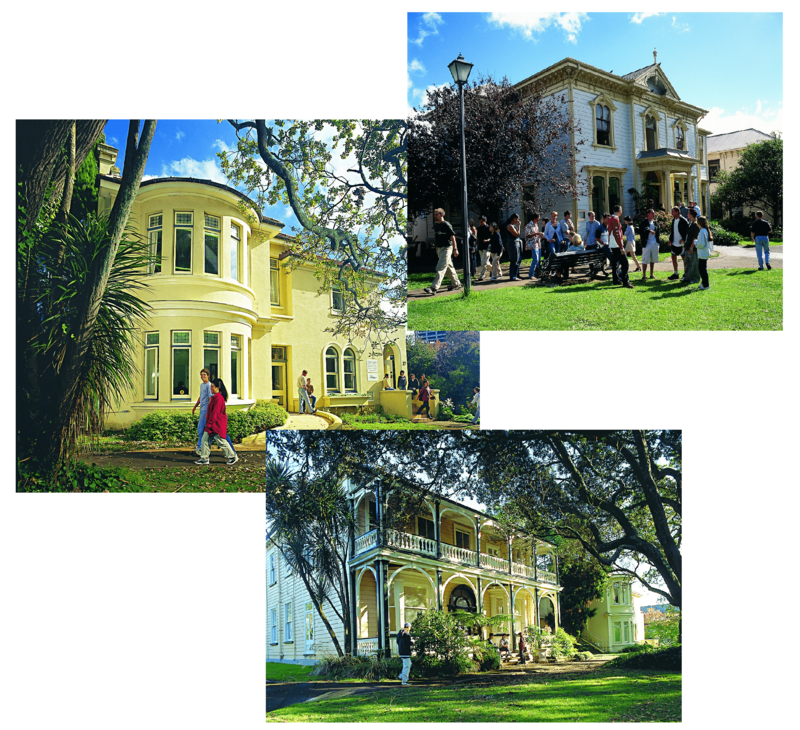 The school’s setting is unique: its three historic buildings are surrounded by the trees and gardens of Albert Park. Just across the road from the school is the University of Auckland, a convenient place for our students to buy lunch, look through the bookshop or pay for transport passes. A medium-sized school, with 150 to 250 students, depending on the time of the year. A maximum of 14 students per class (12 students for Cambridge exam preparation classes and TESOL classes), and an average of 11 students per class. Languages International has very high academic standards but a relaxed, friendly feeling thanks to its location and excellent support for students. With students from more than 20 countries, the school has a truly international atmosphere.